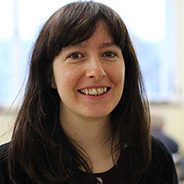 Kate is a Research Fellow for the EPSRC funded Centre for Industrial Energy, Materials and Products (CIE-MAP).She is interested in the integration of resource efficiency, which includes the consumption and trade of materials and products, into climate mitigation policy. Her research considers climate governance at the national (UK), supra-national (EU) and international (UNFCCC) level, contributing to ongoing international climate negotiations and action plans. Kate employs scenario methods and input-output analysis to both quanitfy the emissions consequences of consuption patterns/ trends, and to evaluate policy opportunities at these different spatial scales. Kate is also part-funded on the UK Energy Research Centre project ADVENT. The primary objective is to explore future UK low-carbon energy pathways and quantify what they would mean for stocks of natural capital and for the provision of ecosystem services. She is developing tools for policy makers to analyse different energy futures in a way that brings energy and environmental considerations together into a single framework. PhD in Climate Mitigation, Sustainability Research Institute at the University of Leeds (June 2016). Awarded a PhD by publication entitled ‘Integration of embodied emissions into climate mitigation policy’. Kate was awarded the Piers Sellers Prize by the Priestley International Centre for Climate for ‘exceptional PhD research’ in June 2016.